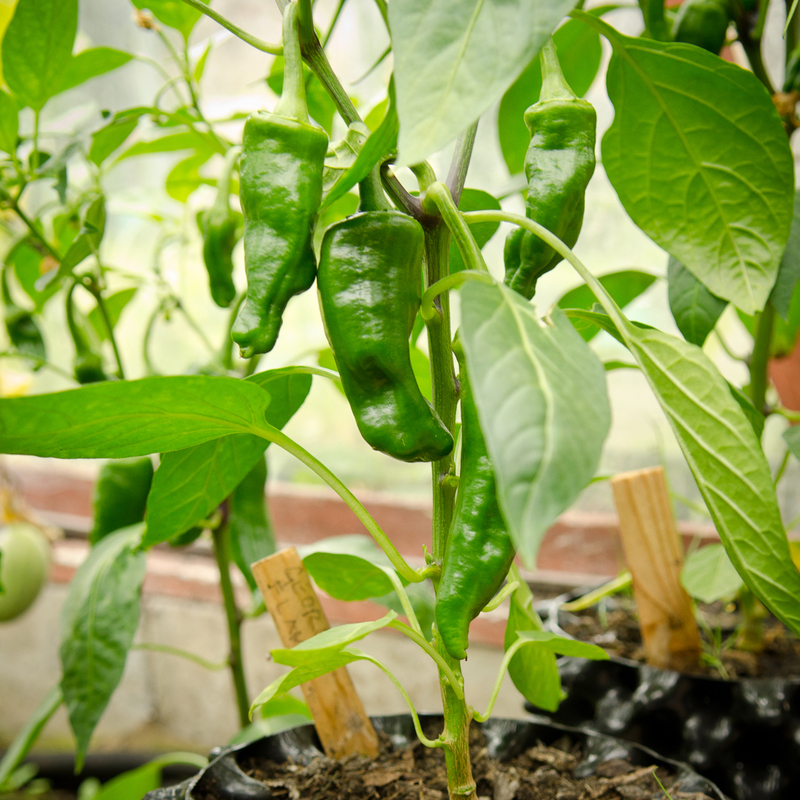 Chillies in 10 litre Air-Pot containers have been the outstanding success of the summer. These were drip watered and comfrey fed and have produced a bumper crop. Nigel’s Outdoor Chillies from realseeds.co.uk proved to be well suited to Scottish conditions. Vigorous early growth and flowering resulted in lots of big crunchy fruit, which from September they have been red and ripe. 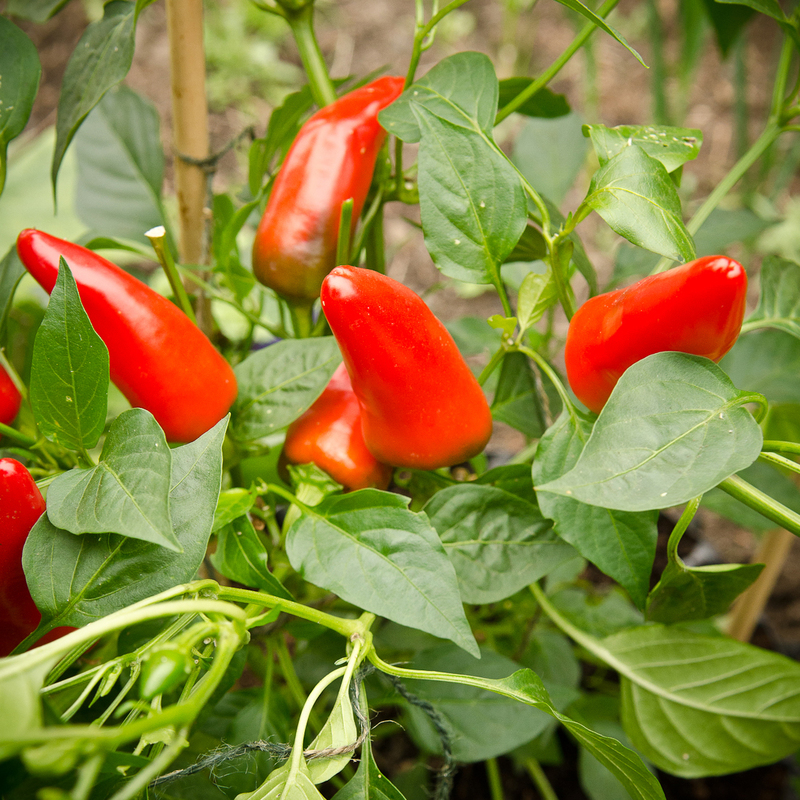 Some other varieties such as Cayenne and Purple Haze were grown in small 3 litre containers, these produced smaller plants but the fruit has still ripened. 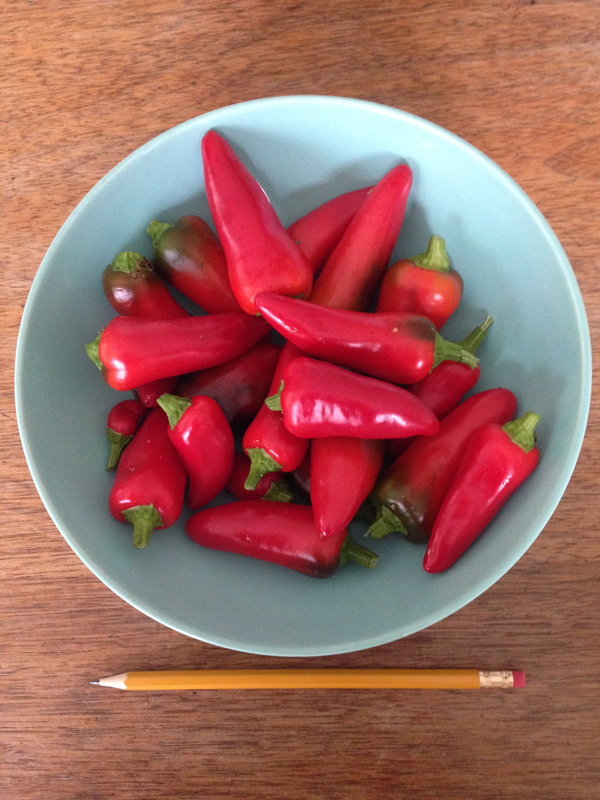 Quantities are based on the amount of chillies that will pack into a 1 litre jar, this will be about 400 grams. Simply make a cut down the side of each chilli to allow the air out and the brine to get inside. Then pack the chillies into the jar, with six to eight peeled cloves of garlic. Pour in enough water to completely cover the chillies and garlic, strain out and add two teaspoons of salt, and two teaspoons of sugar. 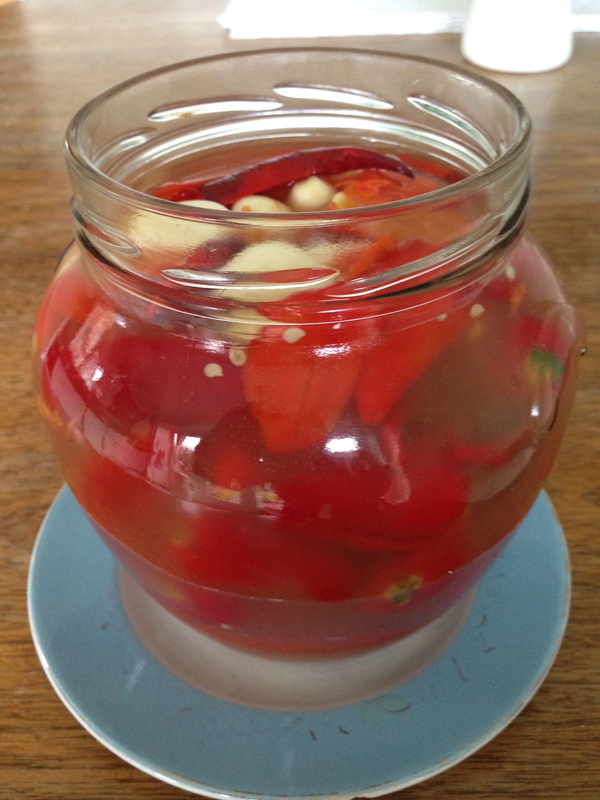 Give this a good stir to dissolve, then pour back into the jar pressing the chillies down to drive out trapped air. Cover and leave to ferment for a week, liquefy with a blender and then cook with a chopped onion and 100ml of vinegar, until the volume has reduced by half. Once cool blend it again and you have your sauce. 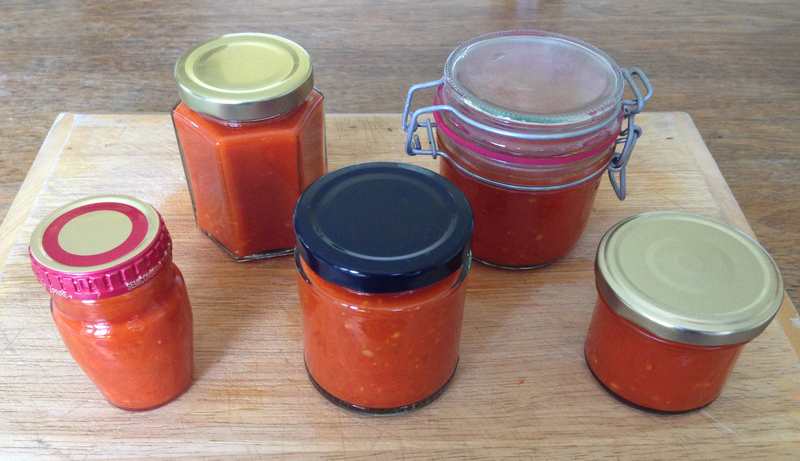 In sterilised jars it should keep for a year or more. So many ways to get such an important condiment!